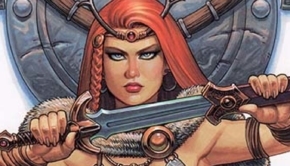 Winter’s assault is in full swing for comic fans, but there is much to look forward to in the spring! 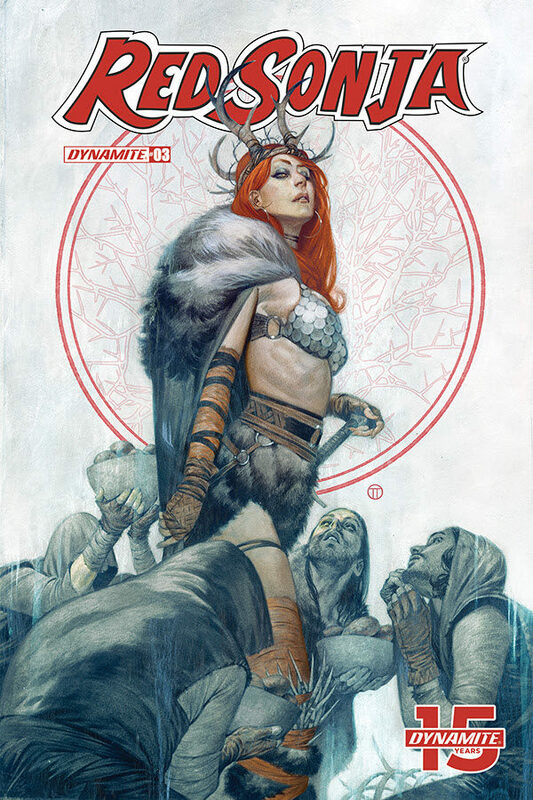 Dynamite has lots of exciting releases for April 2019: Xena, Elvira, Bettie Page, KISS, Red Sonja and more! 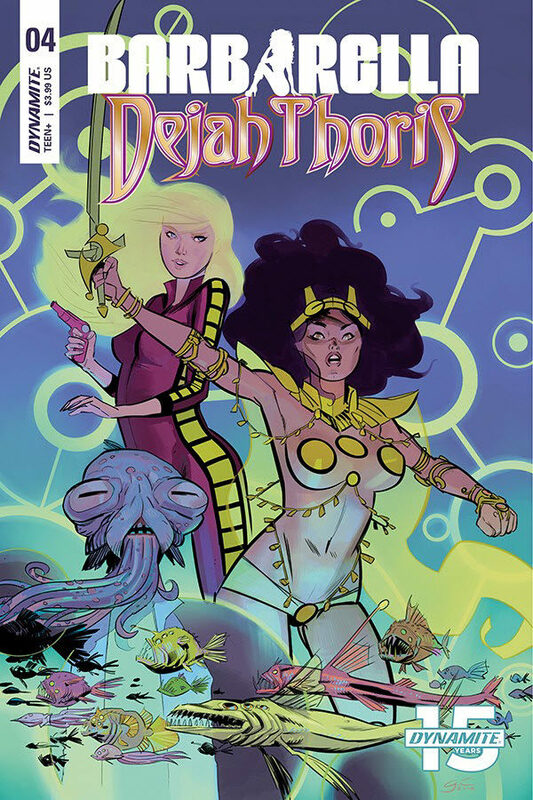 When you step through an inter-dimensional gate the results are unpredictable: sometimes you find yourself in a bikini made of coins with a sword in your hand! 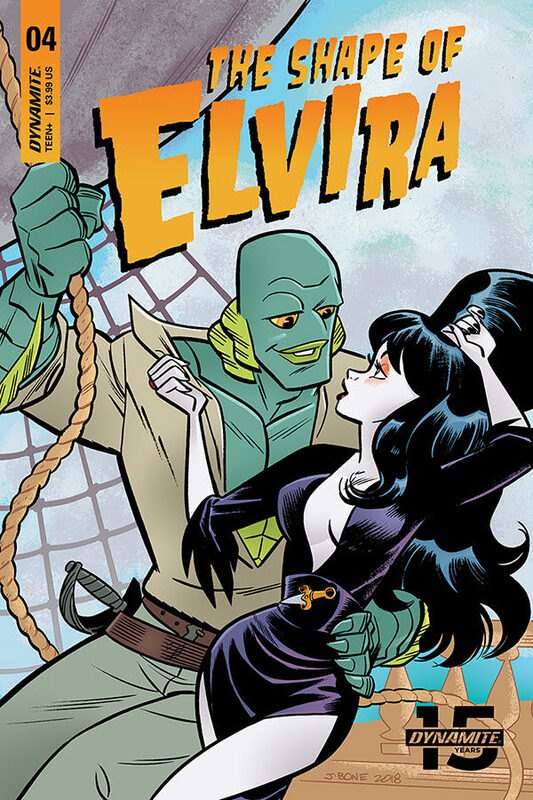 Reality is shattering, the gate has been opened for an invasion from the Great Old Ones…and only model spy BETTIE PAGE can save the world in this epic four-part miniseries from David Avallone (ELVIRA: MISTRESS OF THE DARK) and Julius Ohta. The Crisis on Infinite Betties begins in BETTIE PAGE: UNBOUND #1! 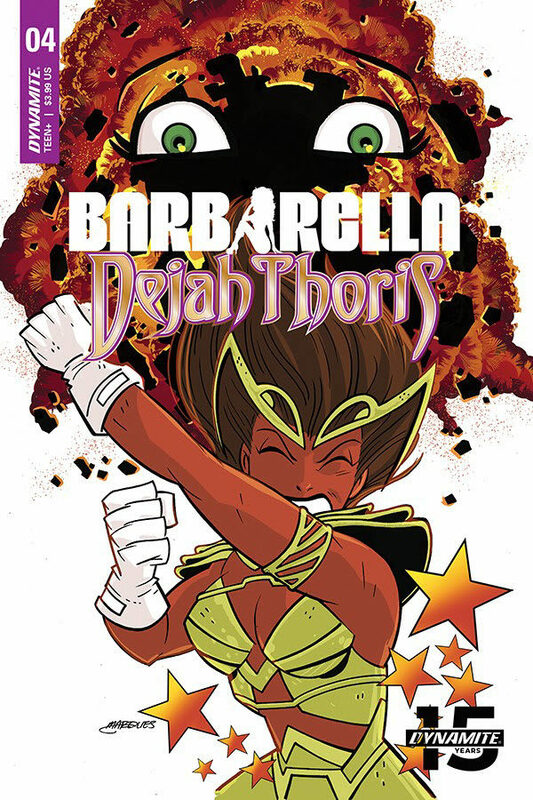 In the final, climactic installment of Barbarella and Dejah Thoris’ adventure together, they must rearrange events of the past in order to figure out their respective ways home! 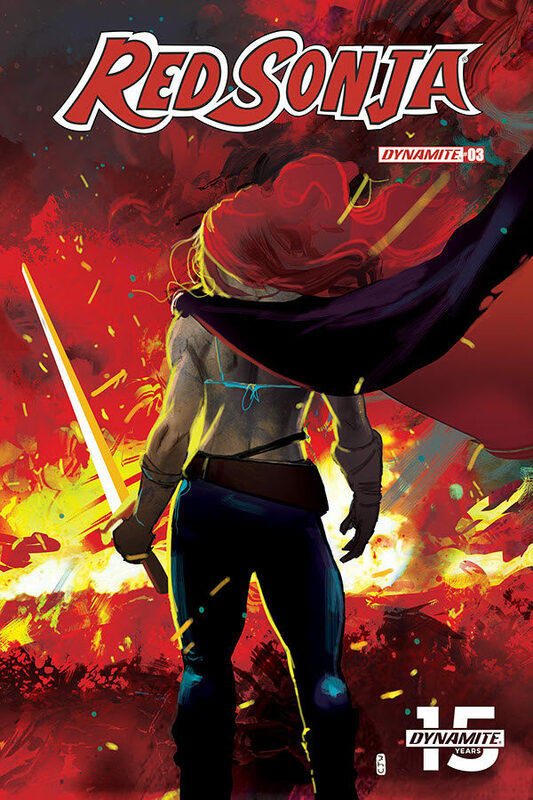 Meddling in an ancient war has consequences, though, and Dejah Thoris must decide if she is willing to pay the price despite knowing how it will impact Mars for thousands of years to come. 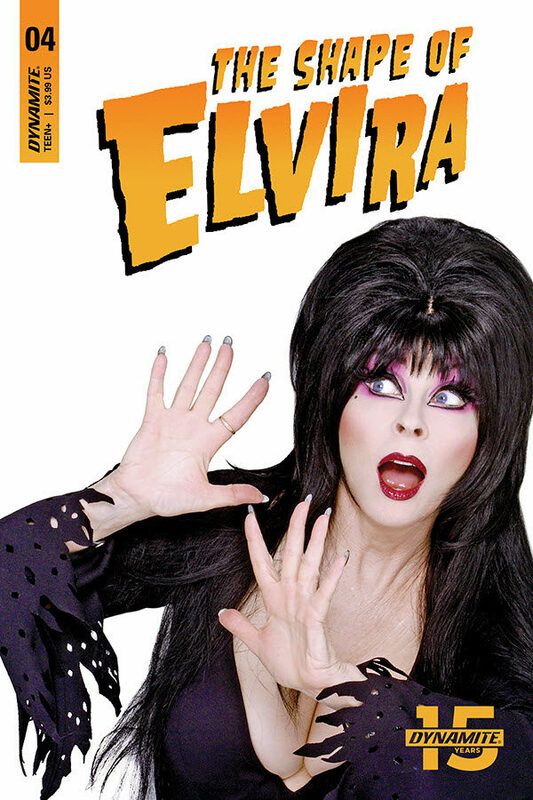 Elvira’s traveled through time and been to Hell and back…but does she get to take a breath and recover from her travels? Not in this comic book, friends. Back from Hell, Elvira falls in with a coven of modern-day witches and takes a hot rod broom out for a spin in the sky! 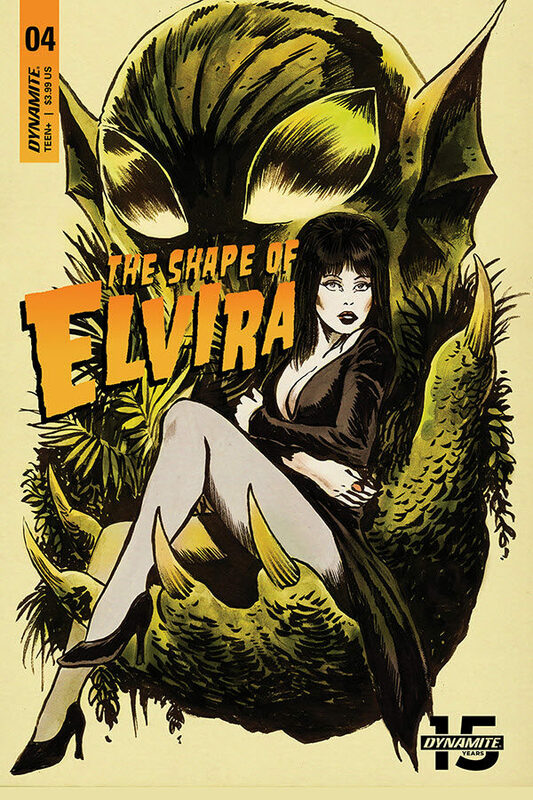 Sit down for a spell, and for more thrills, chills and bad puns, as David Avallone (Bettie Page) and Dave Acosta (Twelve Devils Dancing) bring you the Horror Hostess with the Mostest in the next thrilling issue of ELVIRA: MISTRESS OF THE DARK! Maybe all film directors are megalomaniacs…but what do you do when you find out your movie was literally a cover for a plot to conquer the world? 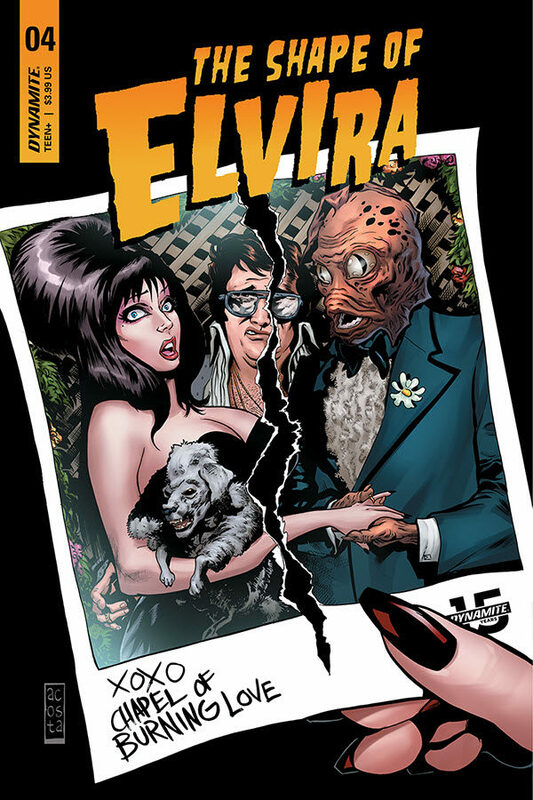 Elvira and Gill team up to escape the clutches of the creepy conspiracy that threw them together, in the final insane issue of THE SHAPE OF ELVIRA! Sent to retrieve a soul from a debtor, Vanessa & Monty team up again, exploring the dilapidated streets of the Slums, currently taken over by the Vikers, a dangerous gang. This isn’t a regular collection job, as it seems this debtor managed to pawn his soul to two powerful demons, so there is a conflict brewing over it. 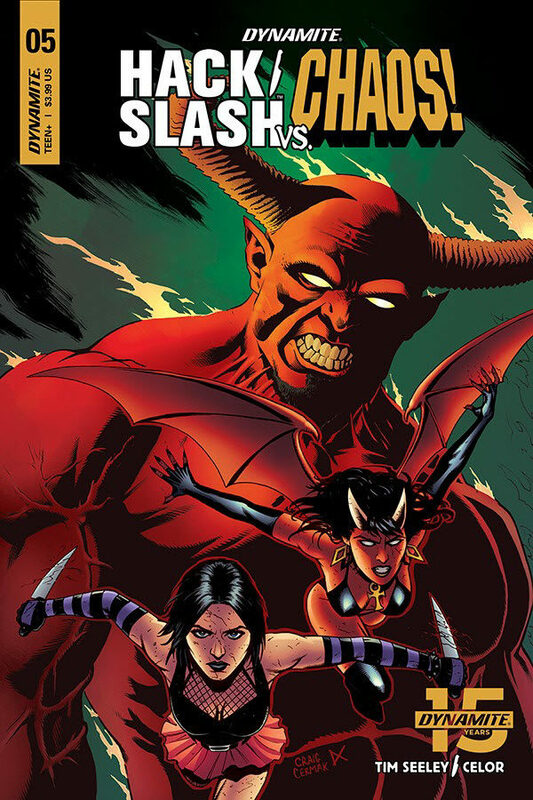 Vanessa and Monty need to stay on their toes, as another Demon + Hellhound duo is on the trail of the target and it seems both duos are on a collision course. What lies beyond our world? Is there a heaven? Is there a hell? 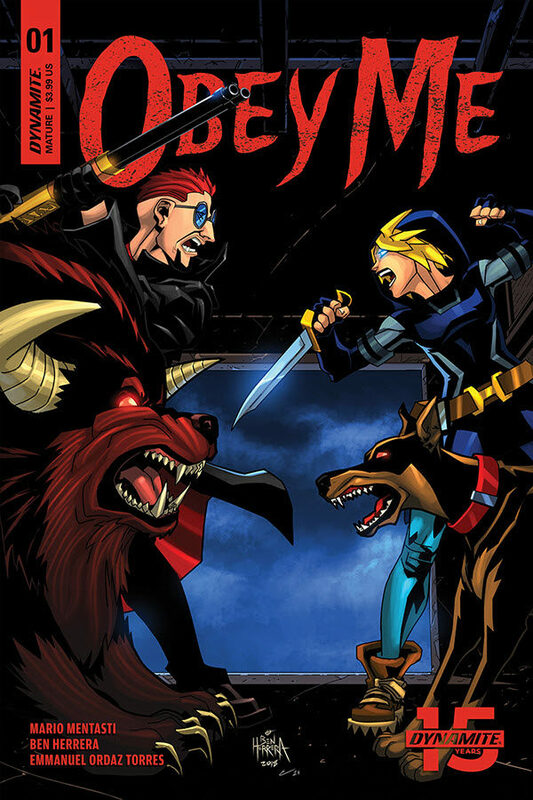 When a young man finds himself on the wrong side of life, he encounters Death itself and is set on a quest to seek out his errant demon offspring in an attempt to make his way back to the world of the living! But there is much peril on the way and the only ones who can help him are KISS! 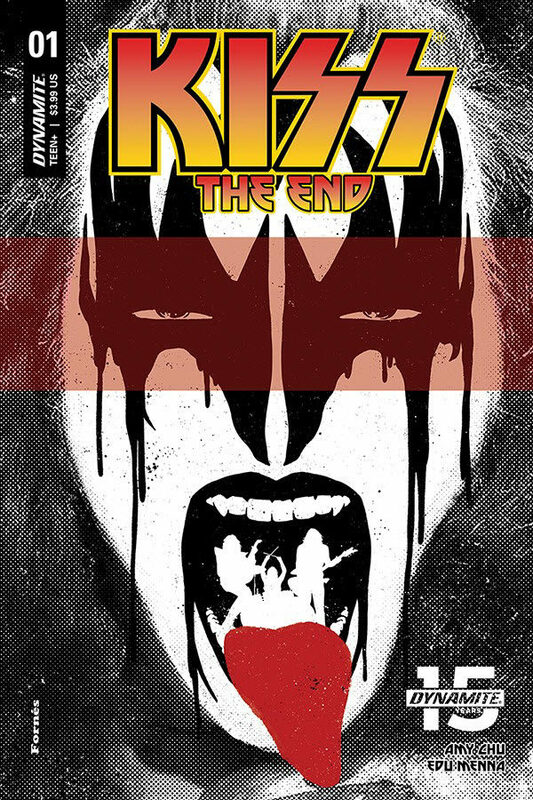 From writer Amy Chu (Red Sonja, KISS) and artist Edu Menna (Z Nation, Twilight Zone: Shadow & Substance) comes the next chapter in the KISS saga! Coinciding with KISS’ FINAL TOUR, this’ll be one for the ages!! Twilight Command uncovers a startling revelation that forces them to reevaluate their plans. 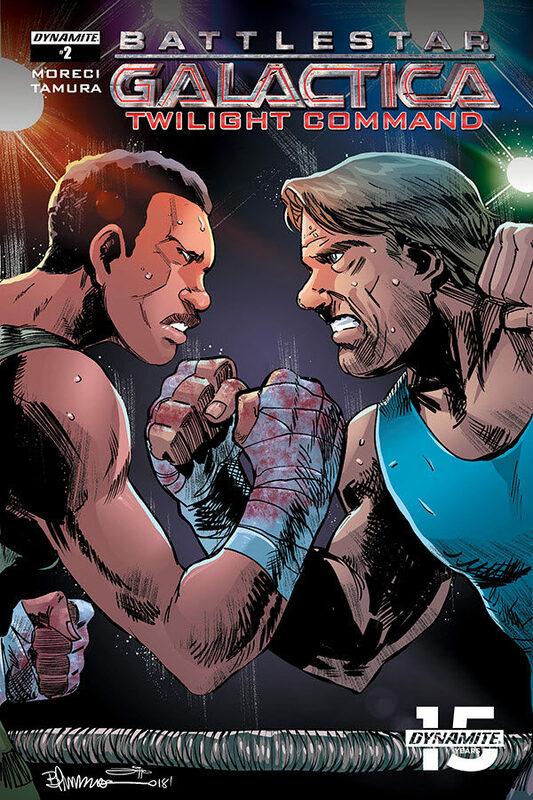 Meanwhile, Flores and Adama continue to spar–literally, in fact–over Flores’s troubled past. A city has gone dark. Four heroes stand against chaos. And the odds are stacked against them. 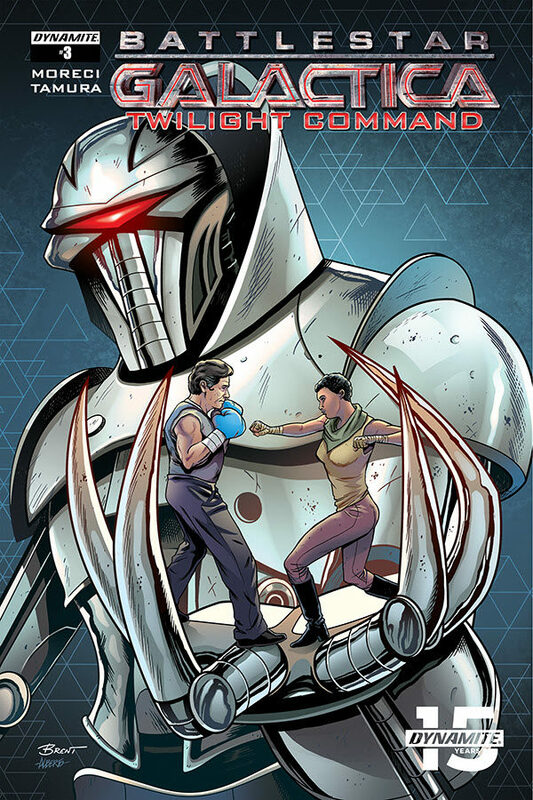 Without their Skills and down a man, a noble team of Agents fights to bring law and order to a near-future metropolis in the grip of a powerful enemy. As riots spread and violence escalates, the Agents’ training will be put to the test. But help is on the way! And maybe—just maybe—the odds are about to shift in the favor of justice! 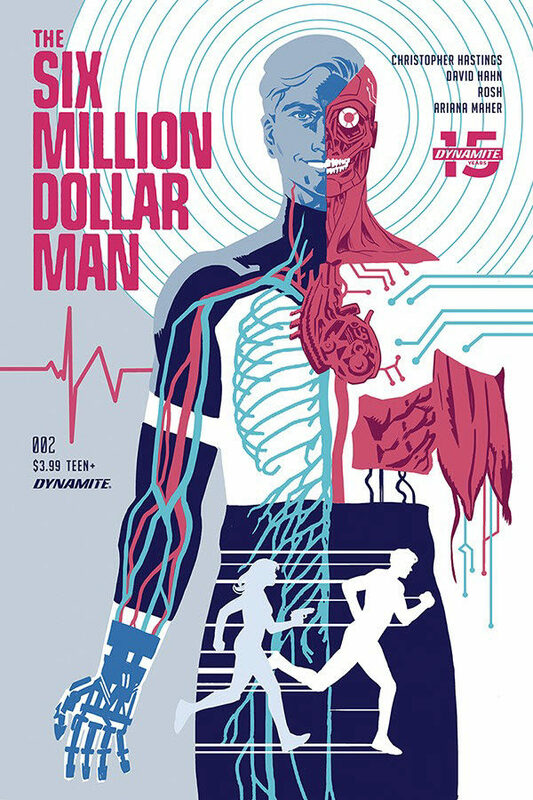 The adrenaline-fueled, larger-than-life world of CRACKDOWN comes to life in the penultimate chapter of the hit video game series’ first comic book mini-series. 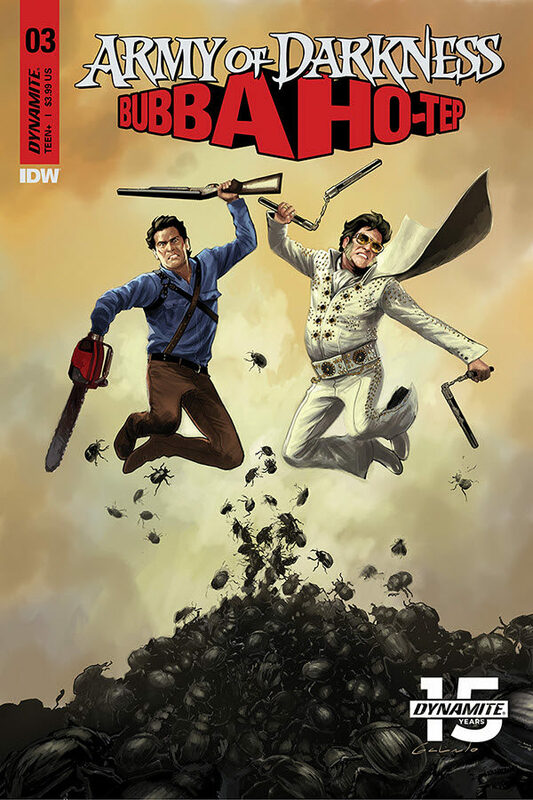 It’s the royal rumble of horror heroes! If Cassie can be persuaded to give up the power of Draugsplitter, she’ll have just enough time to join the Chaos heroes in a battle against Lucifer himself! Vlad vs. Cremator! Everyone vs. everyone! 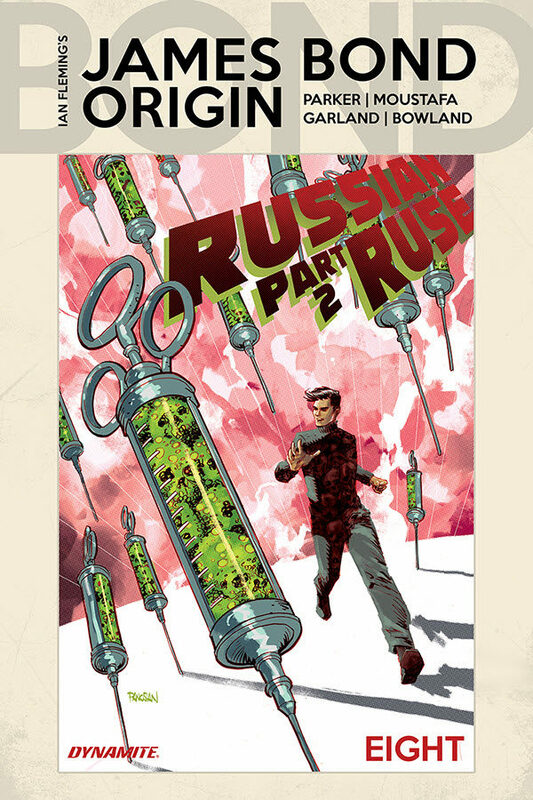 Captured by the Russians, Lieutenant Bond meets the beautiful Oksana, who may be his ticket to safety, or lead to his doom. But it’s quite difficult to know ally from foe, when you’ve been drugged. The epic World War 2 tale continues from JEFF PARKER (Aquaman, Fantastic Four) and superstar artist IBRAHIM MOUSTAFA (Mother Panic, The Flash)! By CHRISTOPHER HASTINGS (The Unbelievable Gwenpool! Secret Agent Deadpool! Adventure Time! I Am Groot!) and DAVID HAHN (Batman ’66! 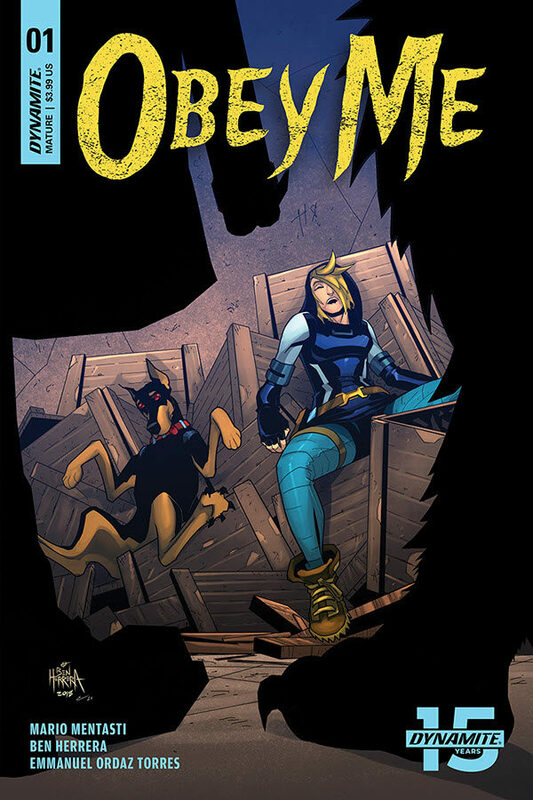 Bombshells: United!)! Turok discovers the greatest mystery of the Lost Valley is … Turok himself?! Stunning revelations abound as Turok learns the long-buried truth about the Lost Valley, and about himself. Now he just has to live long enough to escape this time-lost land and the fate waiting for him thanks to the bounty hunter who has doggedly pursued him. Oh, and dinosaurs too! 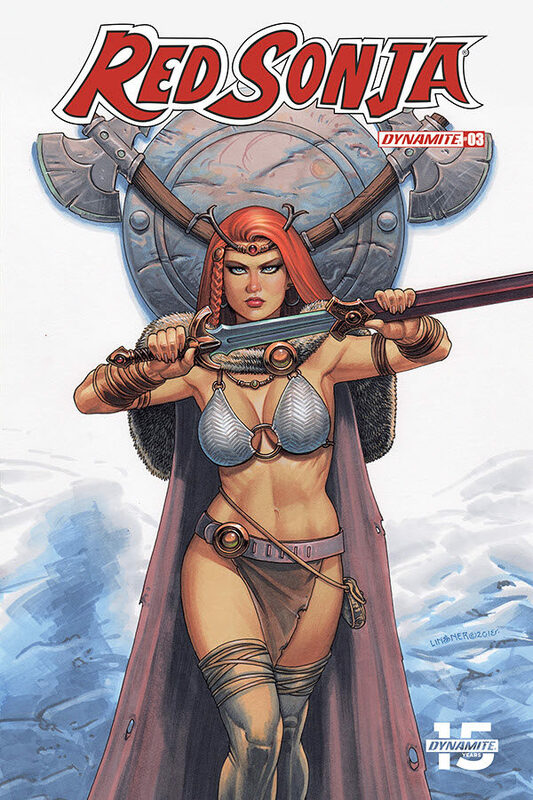 More prehistoric peril by Ron Marz and Roberto Castro! 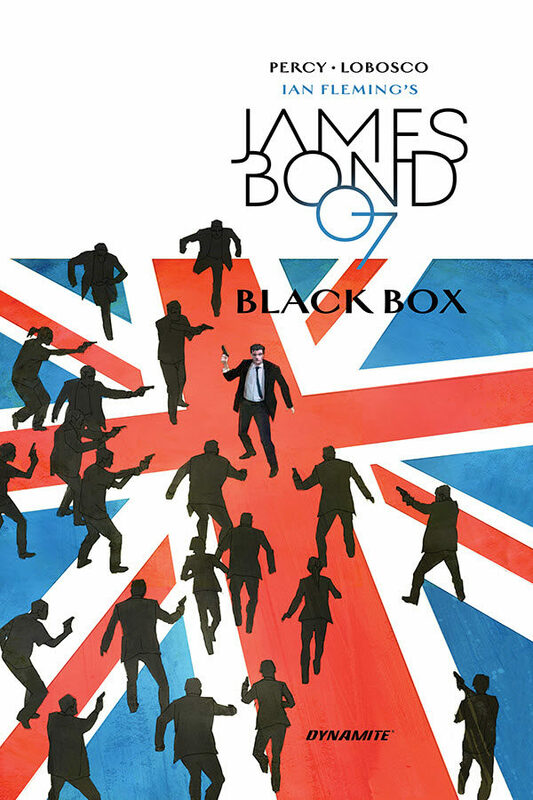 In the snowbound French Alps, James Bond finds himself in the crosshairs of an assassin who targets other assassins. This is the first puzzle piece in a larger adrenaline-fueled mystery that will send Bond across the globe to infiltrate the underworld, risk everything in high-stakes casino gambling, evade deadly pursuers, and root out a digital breach threatening global security. 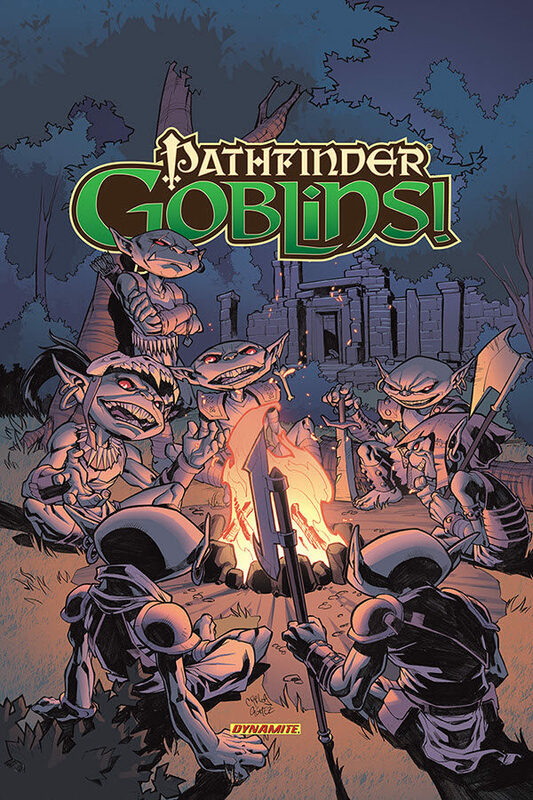 Pathfinder is the #1 bestselling roleplaying game, and this wild romp of goblin stories comes complete with over 20 pages of official gaming supplements, plus a never-before-seen story! Spinning out of Alex Ross’ Project Superpowers is the Black Terror — opening with this four-part story arc by Alex Ross, Jim Krueger, and Mike Lilly! 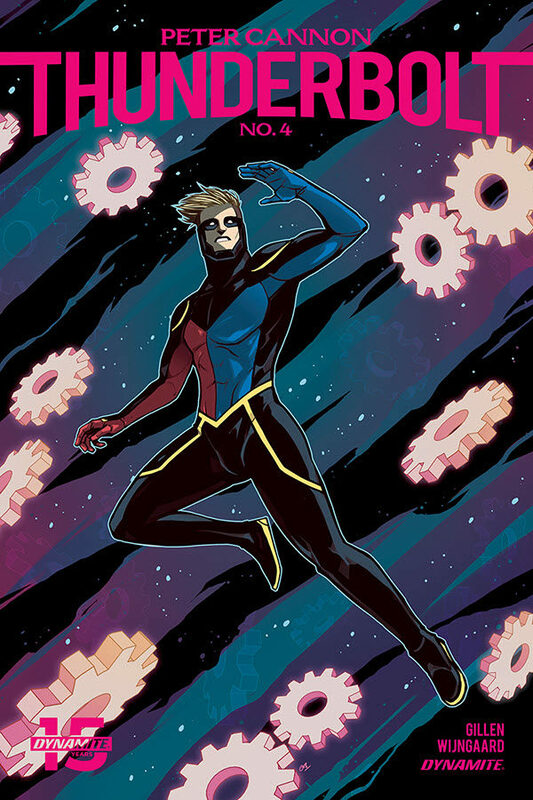 This new story arc will lead directly in to Project Superpowers Chapter Two! From Neil Gaiman’s collaboration with Alice Cooper comes this gorgeous piece by artist Michael Zulli, a black and white lithograph of the Showman from the Theater of the Real. Signed by superstar writer Neil Gaiman! This high-quality lithograph measures 11″ x 17″ and is composed of high-grade 100# archival stock, the perfect measure of durability to ensure its proud owner’s enjoyment for years to come. Packaged individually in its own protective tube to guarantee safe shipping. She is the ultimate pinup queen, and the sexiest girl-next-door who ever posed for a photographer. Bettie Page, with her all-American smile, cute bangs and ever cuter curves was the epitome of 1950s womanhood — and the cheerfulness she exuded even when dressed in leather, playfully beckoning “naughty” men, made her an enduring symbol of easygoing sensuality. Bettie is eternal … and this new series of trading cards with glorious archival Bettie Page photography and art by Joseph Michael Linsner, David Williams, John Royle, Scott Chantler and others showcases her continuing 21st-century appeal. Every individual foil pack includes 2 Base Cards, 2 Sketch Cards, 1 B&W “Peek-a-Boo” card, 1 puzzle card, and 1 autographed card.